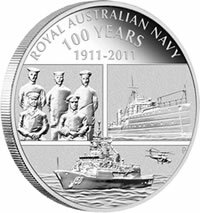 The Perth Mint boarded HMAS Perth to launch Australia’s precious metal silver coin tribute to mark 100 Years of the Royal Australian Navy. In 1 March 1901, two months after Federation, responsibility for the former colonies’ naval forces passed from Britain’s rule to the new Commonwealth Government. 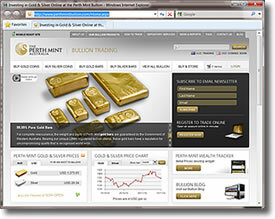 Buying gold and silver for investment from the internationally renowned Perth Mint is now just a few clicks away, thanks to the launch of www.perthmintbullion.com. The Perth Mint has unveiled Australia’s first gold and silver commemorative coin program to celebrate the canonization of Blessed Mary MacKillop. The Perth Mint has introduced a new Kangaroo Minted Gold Bar range to complement the popular animal themes of Australia’s official Gold and Silver Bullion Coin Program. The Kangaroo Minted Gold Bars are available in a choice of seven sizes ranging from 5 grams to 10 ounces. When added to the legal tender coins struck each year as part of the nation’s bullion coin program, which vary in size from 1/20 ounce to 10 kilograms, The Perth Mint now offers a 33-strong suite of 99.99% pure gold and 99.9% pure silver bullion products. A limited collector coin replicating the design of the historical Sydney Cove Medallion has been unveiled at the Museum of Sydney by Lord Wedgwood of Barlaston, the seventh generation descendant of Josiah Wedgwood, whose company created the original Medallion in 1789. Struck by The Perth Mint from 1oz of 99.9% pure silver and issued as official Australian legal tender, the coin features a special ‘high relief’ representation of the celebrated Medallion’s allegorical design portraying ‘time’s opening scenes’ in the colony of New South Wales. With four classical figures on the shores of a bay, the scene was called Hope encouraging Art and Labour under the influence of Peace to pursue the employments necessary to give security and happiness to the infant colony. Beneath the figures in raised lettering was inscribed ETRURIA 1789, the name of Wedgwood’s Staffordshire factory.